It’s nice having a camera on-hand anywhere you take your phone, but organizing all of those pictures can turn into a chore. Luckily, there are a handful of apps that make it easy to clean up you phone’s storage in just a few minutes. These four apps are specifically built to organize your photos with very little effort at all. Focus (Android) lets you take the same approach with your photos that you might do with your Gmail, giving you a customizable labelling system to quickly group your pictures into any kind of bucket you like: photos of the kids, photos from a particular trip, photos with you in them, or just photos that stand out from the rest in your camera’s picture gallery. There’s a lot of great features packed into Focus, and it’s one of the most comprehensive apps in our list. You can dig through a ton of metadata on each picture, quickly scroll through and zoom in on photos, and get an overview of all the images on your device. All you need to do is come up with some appropriate picture tags. If you’ve ever wanted to sort through your photos using the same at-a-glance appraisals and finger swipes you use to find dates on Tinder, you’re in luck. Cleen (iOS) lets you swipe up to save photos, swipe down to trash them, and swipe left or right if you don’t want to decide right away. There are no albums, no labels, and no extra fuss. The app is about as easy to use as it sounds, and you can make short work of similar photos if you’re prepared to be ruthless. You can also press and hold on an image to zoom in, but in general the app focuses on being as lightweight as possible. It keeps you focused on deciding which pictures you’re most willing to delete from you phone. Slidebox (Android and iOS) also lets you keep or delete images with a simple swipe of the finger. Additionally, you can place your pictures into specific albums with a tap on the screen, and it has a few more features than Cleen (like an easy album creation menu). 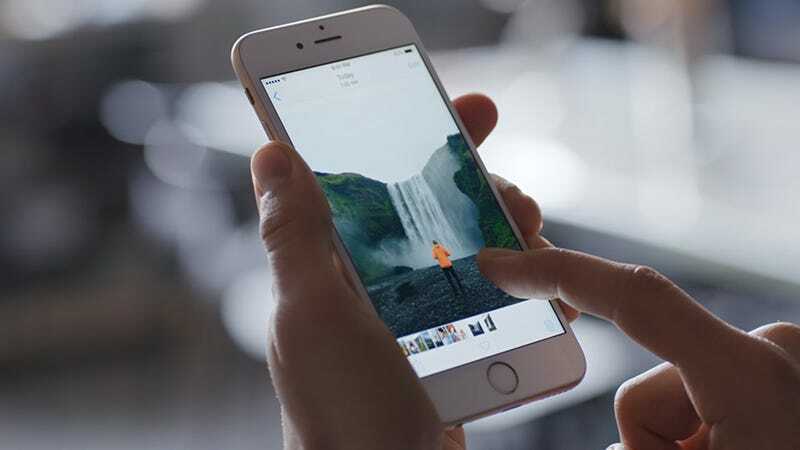 Everything syncs neatly with iCloud Photo Library on iOS, and your photo gallery (managed by Google Photos) on Android, so you don’t need to worry about creating duplicate albums. We should note that there’s no SD card support on Android yet, so keep that in mind if you’re trying to backup your photos on expandable memory. Slidebox is another great solution that makes it simple to organize photos anytime you have a few spare minutes. Photo File (iOS) takes a slightly different approach to sorting your pictures. It asks you to categorize them before you actually take them. You use the app’s own camera to take pictures, and just above the shutter button is the label you’re about to apply. A swipe to the left or the right changes the category, and a tap on the shutter button takes the photo. You get a few labels to begin with—family, life, trip, sports, and selfie—and you can add some of your own as well. It may sound counterintuitive, but most of the time you know how you want to organize a photo set before you start taking pictures. Your images are still saved to the camera roll as normal in Photo File, it just prevents you from having to organize them later.